Adam Deemer is the owner and operator of Urban Timber Fine Woodworking, located in Shillington, Pennsylvania. 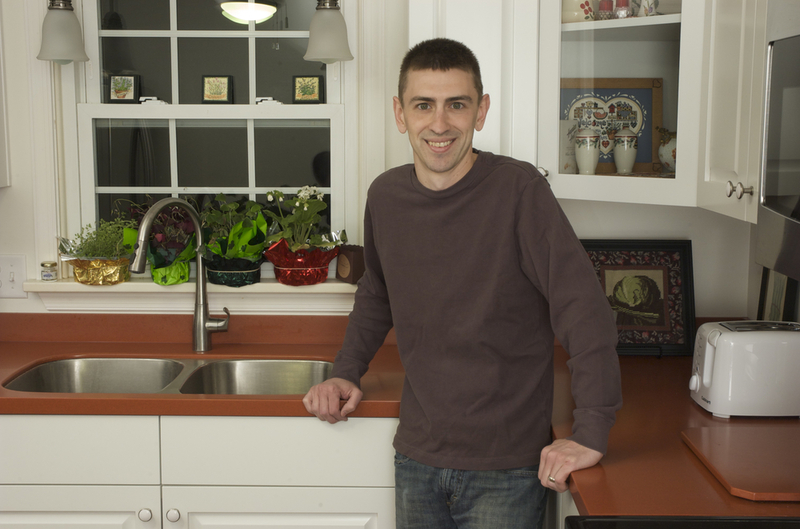 Adam grew up in a household where creative problem solving was encouraged. Ingenuity, attention to detail, and persistence were key parts of the process and became central characteristics of Adam’s approach to life and work. In high school, Adam applied himself energetically to learning the theory and craft of woodworking during a three-year cabinetmaking program at Berks Career and Technology Center. To this day, he values the education and experience he received there and remains grateful to his instructor, Gary Corel, for the strong foundation he provided. For the next nine and a half years, Adam honed his craft and expanded his repertoire of fine woodsmith skills while working for a Berks County company that specialized in architectural woodworking. He was an integral part of a team of craftsmen that produced commercial-grade cabinetry for hospitals, libraries, banks, and other corporate clients. He particularly enjoyed the opportunity to work on high-end residential projects that involved custom designs, specialized fabrication techniques, and exotic woods. Adam’s expertise and extraordinary work ethic earned for him the position of production manager, a responsibility not usually entrusted to such a young person. Adam then added another supervisory position to his resume by working as a shop manager for a custom closet company for three years. The experience taught him the value of communication and customer service, and intensified his desire to take his career to the next level. After working with a partner for about two years (doing business as 2 Skinny Guys), Adam launched Urban Timber. He has found that working solo has its advantages: personal control over quality and customer satisfaction; but it also has a downside: total responsibility for everything! In spite of very long days, Adam is dedicated to the challenge of operating his own business and exceeding his customers’ expectations. In his free time, Adam enjoys camping, Ultimate Frisbee, and relaxing with his wife, Layne, their daughter, Stella, and their son, Jasper.